Over the last 25 years, commercially grown roses have become a far cry from the exquisitely scented roses you may remember from your childhood, perhaps grown in your grandmother’s garden. Pick up a bouquet from your local florist or supermarket and whilst they may look lovely, the chances are they will have little or no scent. Why don’t roses smell like they used to…? Most roses grown for the cut flower market have to travel hundreds of miles to reach the shops, so inevitably their toughness has been valued by commercial growers more than their fragrance. Similarly, many commercial rose breeders have bred their rose varieties for their appearance, durability and vase lifer rather than their smell. 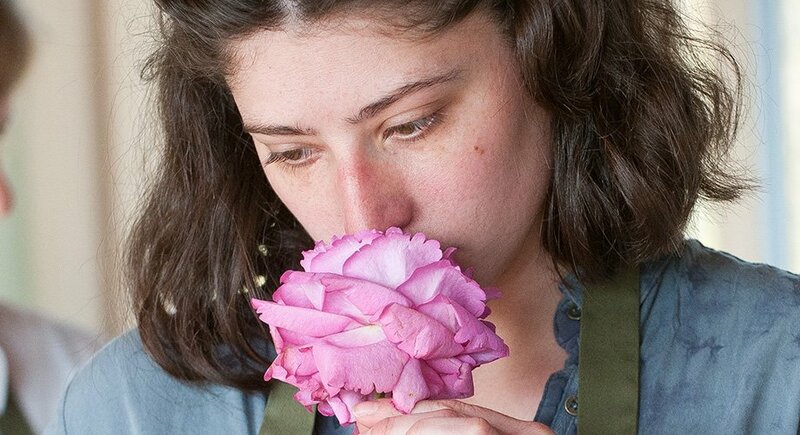 As a result, the scent of roses has suffered, and become something of an afterthought and many rose varieties bred for the cut flower market have lost their scent altogether. Roses produce their sweet aroma with a gene that ‘switches on’ the scent. This gene ‘switches on’ a crucial enzyme called RhNUDX1. The chemical acts in the cells of the rose’s petals to generate a chemical called monoterpene geraniol, one of the sweetest-smelling parts of the highly coveted, and very expensive rose oil. Scientists have discovered that roses that have been bred for durability and their looks have lost their scent because this scent gene is removed. Wild roses could not survive without their scent, as it attracts bees to pollinate its flower. In cultivated roses, the scent has no reproductive function, it’s only for our pleasure. So if commercial roses lose their scent it’s too bad. But if a wild rose lost its smell it would die out! 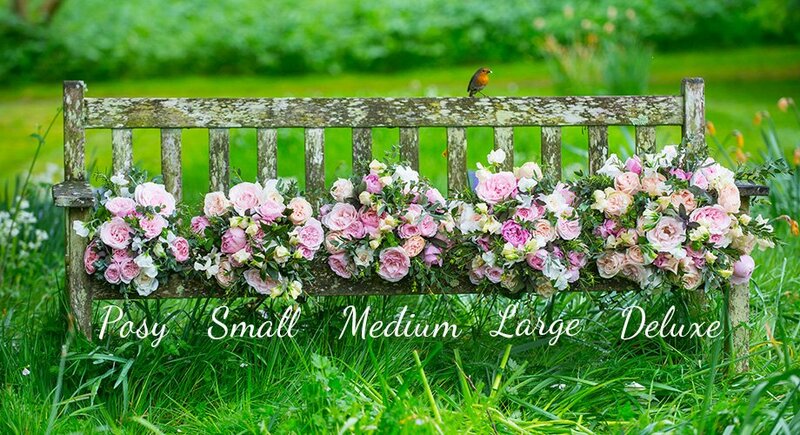 All of us at The Real Flower Company are passionate about restoring the growing of exquisitely scented ‘wild’ garden roses that, just as nature intended, have their scent gene firmly intact. Over the last 20 years, and after much trial and error, our founding director Rosebie Morton has searched for, curated and now grows the world’s finest selection of scented cut roses on her Hampshire farm. As well as being beautiful, The Real Flower Company roses boast an exquisite variety of scents thanks to those clever little scent genes! Why settle for anything less? If you order one of our scented rose bouquets and it doesn’t smell amazing as well as look beautiful, we will give you your money back!